The Internet Movie Database (www.imdb.com) is the most popular site for information on movies and actors. This link is to a page that has Judd Hamilton's profile. Judd is the son of Maurice and Elsie (Galloway) Hamilton. 13) Judd Hamilton and the Furies?! Eastern Washington Rock n' Roll History. Kathi (Hamilton) Keith is the daughter of Arthur Lund Hamilton and Nelda Lee Nugent. Arthur 'Art' Hamilton was the son of Maurice Lake Hamilton and Elsie Luetta Galloway. 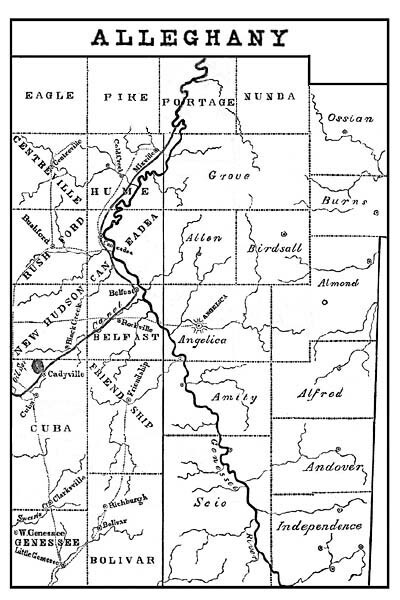 18) Map of Allegany CO., NY from the 1830 census. 26) my book and website! 29) Northern Pacific Hospital Missoula, MT.